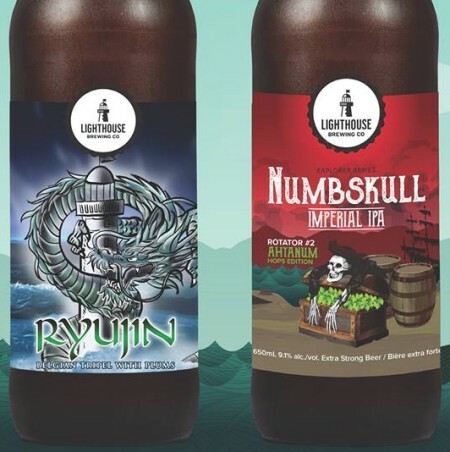 VICTORIA, BC – Lighthouse Brewing has announced that it will be debuting two new beers this weekend at the Great Canadian Beer Festival. Available to taste for the first time will be the second in the single hop edition series of Numbskull Imperial IPA – this one made with Athanum hops – and Ryujin Belgian Tripel with Plums, a collaboration with Fuggles & Warlock Craftworks. Following their launch at GCBF, both beers will be released to retail outlets next week.